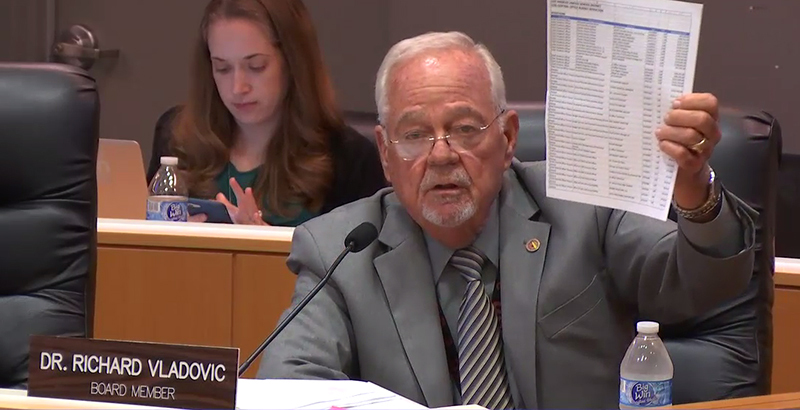 School board member Richard Vladovic speaks on L.A. Unified's budget at a board meeting in Los Angeles on March 19. 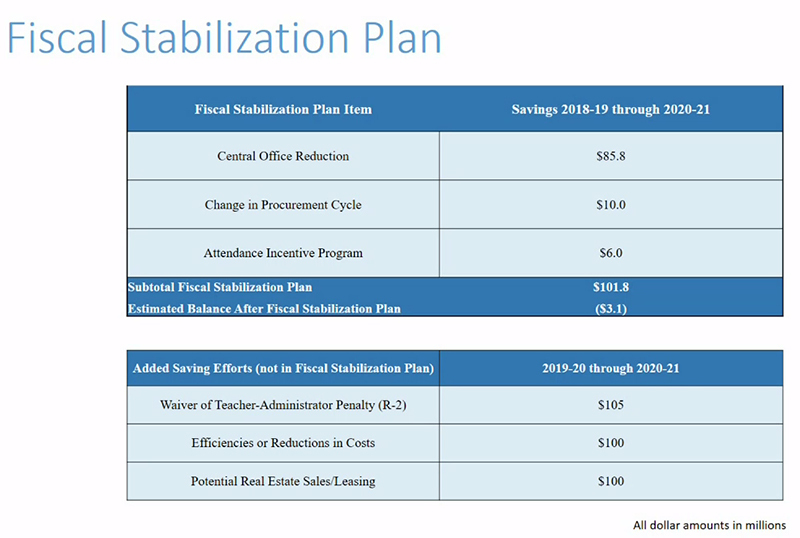 The revised fiscal stabilization plan lays out the district’s response to county concerns about deficit spending, inadequate reserve levels and reliance on non-guaranteed funds to keep itself afloat in coming years. 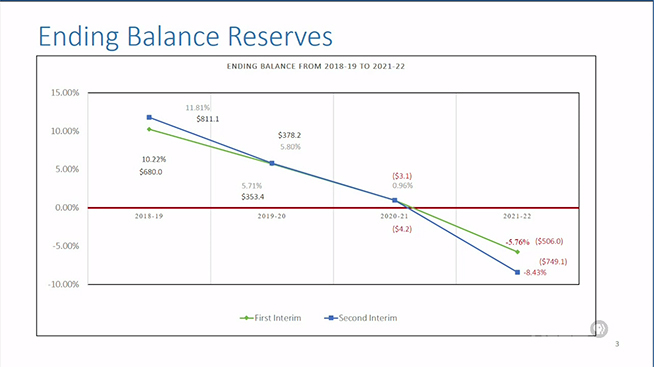 But instead of providing clarity, the latest budget highlighted the district’s deepening reliance on new funding sources as it struggles to correct its ballooning deficit and to meet future minimum reserve requirements that could shield it from a county takeover. 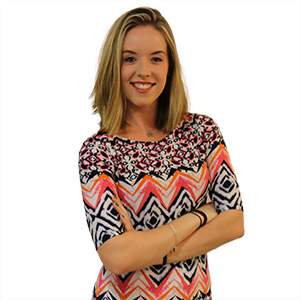 “I would like to know the amount coming from the governor. I’d like to know the results of the parcel tax” before giving approval, said District 3 board member Scott Schmerelson, who cast the sole “no” vote. District 1’s George McKenna chose to abstain. 1 The 1 percent reserve remains unmet, according to Price. 2 The latest report doesn’t appear to remedy the county’s continuing concerns over L.A. Unified’s deficit spending. 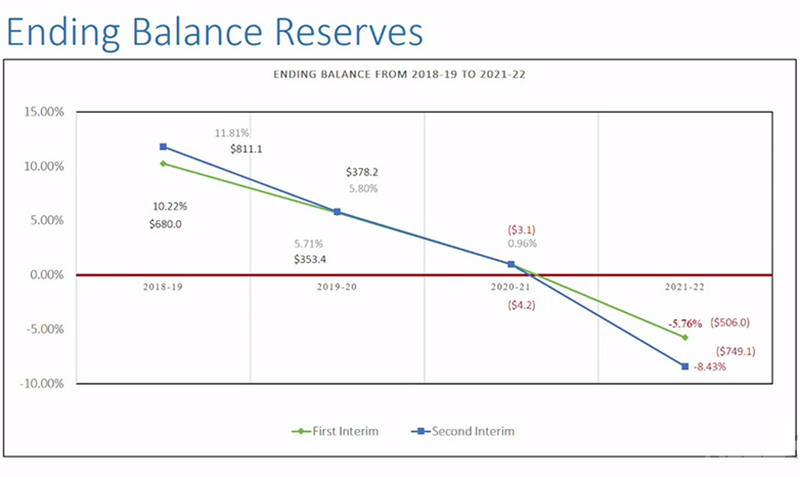 Not taking into account potential future revenues, L.A. Unified is projecting a deficit in 2021-22 that is $749 million below the 1 percent reserve, Price said Monday. (Deficit spending means the district is spending more than it’s taking in.) The new estimate is nearly 50 percent above the $506 million deficit previously projected. 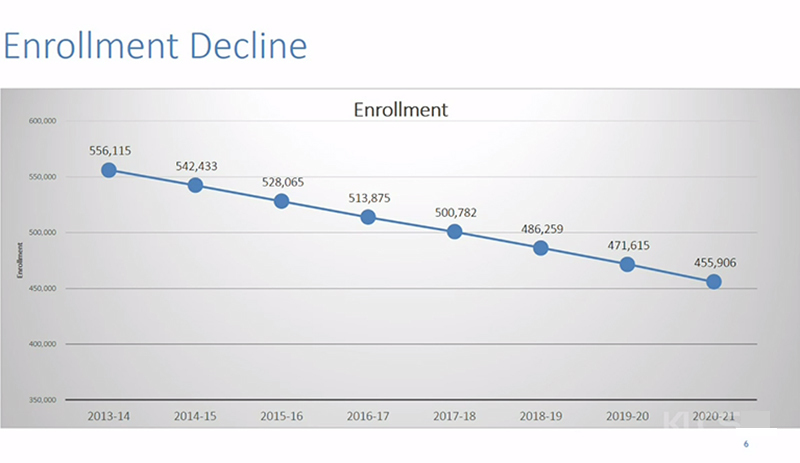 Price noted Tuesday that along with the district’s new union contract obligations, declining enrollment of more than 12,000 students a year continues to cause L.A. Unified substantial financial strain. Price also confirmed Monday that Local Control Funding Formula monies explicitly set aside for targeted student populations — low-income youth, English language learners and foster youth — have not been compromised as the district tries to rein in its budget. “Measure EE is critical to really opening up conversation … [about] the potential investment in schools, rather than having to deal with the year-to-year ‘third-year’ conversation” that is consistently foreshadowing doom and gloom, Price told reporters Monday. Only two members of the public spoke on the district’s finances at Tuesday’s board meeting. One was active L.A. Unified parent Maria Daisy Ortíz, who expressed frustration that the district continues to budget behind closed doors with minimal parent engagement. Including her comments, the presentation of the fiscal plan and board discussion took about a half-hour of the four-hour-long meeting.